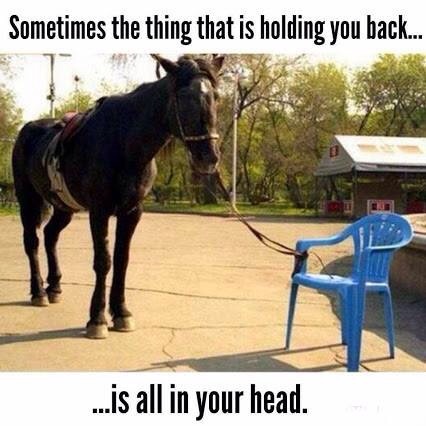 This picture is a brilliant illustration of the age old saying that all things that limit us are just in the mind. Have a look. Have a think. What imaginary restrictions have you placed upon your life, your decision making, your self beliefs. Don’t be this horse: tethered to nothing in particular because something or someone told you that was the right thing to do.